West Nile virus is a mosquito-borne viral illness. West Nile virus usually occurs in birds, and the virus is transferred from birds or animals to humans by the bite of an infected mosquito. The majority of people infected with West Nile virus show no symptoms. When symptoms do occur, they can range from mild to a rapidly fatal brain infection. Early symptoms of West Nile virus infection include an abrupt onset of fever, chills, muscle aches, headache (may be severe), flu-like symptoms, sensitivity to light with pain behind the eyes, vomiting, diarrhea, rash, fatigue, and weakness. Most patients will recover completely. In a small percentage of patients, the disease can progress to cause encephalitis or meningitis, which may appear as neurological changes such as disorientation, tremors, seizures, headache, high fever, and neck stiffness, and in about 10% of cases, death. According to the CDC, the majority of people (70%-80%) who become infected show no symptoms and recover completely. When symptoms develop, West Nile virus infection typically begins with the abrupt onset of fever, chills, muscle aches, headache, and flu-like symptoms. Headache is particularly common and may be severe. The person may have sensitivity to light with pain behind the eyes, and some patients may also develop vomiting, diarrhea, or a rash. Although fatigue and weakness may last for weeks or even months, most patients recover completely. The set of symptoms described here may occur in about 20% of infected patients. In others, particularly the elderly, the disease can progress to cause encephalitis or meningitis. These patients may show neurological changes such as disorientation, tremors, seizures, and develop other symptoms such as headache, high fever, and neck stiffness. Some of the neurological effects will become permanent, and about 10% of people who develop severe neurological infections will die. People with certain medical conditions (cancer, diabetes, hypertension, and kidney disease) are at higher risk for serious West Nile virus infections. West Nile virus is transmitted to humans by the bite of an infected mosquito. Mosquitoes become infected by biting birds (or other animals like horses or dogs) that harbor the virus; thus, mosquitoes are the vectors of West Nile encephalitis (WNE). The virus is not spread from person to person nor is it spread from infected birds to humans without a mosquito bite. The virus has now been found in 111 bird species and about a dozen mammals. How West Nile virus entered New York in 1999 is not entirely clear. The most likely explanation is that the virus was introduced by an imported infected bird or by an infected human returning from a country where West Nile virus is common. Before the 1999 New York outbreak, West Nile encephalitis had been identified previously only in Africa, Asia, the Middle East, and only rarely in Europe. Most cases of West Nile occur during the warm weather months when mosquitoes are most active. Nonetheless, the mild climate in southern U.S. states is expected to sustain the mosquitoes beyond those months. Viruses are small particles of genetic material (either DNA or RNA) that are surrounded by a protein coat. Some viruses also have a fatty "envelope" covering. They are incapable of reproducing on their own. Viruses depend on the organisms they infect (hosts) for their very survival. Viruses get a bad rap, but they also perform many important functions for humans, plants, animals, and the environment. For example, some viruses protect the host against other infections. Viruses also participate in the process of evolution by transferring genes among different species. In biomedical research, scientists use viruses to insert new genes into cells. 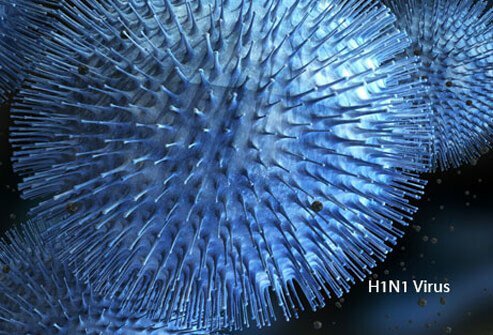 When most people hear the word "virus," they think of disease-causing (pathogenic) viruses such as the common cold, influenza, chickenpox, human immunodeficiency virus (HIV), and others. Viruses can affect many areas in the body, including the reproductive, respiratory, and gastrointestinal systems. They can also affect the liver, brain, and skin. Research reveals that that viruses are implicated in many cancers as well.